Avid readers will have read the news. This week, TriplePundit was acquired by 3BL Media, the leading provider of distribution services for corporate social responsibility and sustainability news and content. As we whispered a sneak preview to friends and colleagues in person at the Sustainable Brands conference in Detroit last week, it was hard to keep the news to ourselves. Go ahead and pop the champagne bottles – this is tremendous news for our organization and the sustainability movement as a whole. Here’s why. We can almost write it with muscle memory. The climate situation is dire. According to the best available science, we needed to curb carbon to zero net emissions by 2020 in order to avoid the worst impacts of climate change. That’s three short years away. Globally, we aren’t anywhere close to reaching that aggressive target and time marches on. Even the landmark commitments the world made in Paris in 2015 remain a question mark, thanks to President Trump’s decision to back out of the U.S. commitment. Climate change is only the beginning. We are also called to tackle political strife, conflicting cultures, economic uncertainty, and a host of other social and environmental issues. As parents, we’re deeply nervous about the uncertain world our children will find when they reach adulthood the 2030s. How can we prepare them for successful lives when we don’t know what skills they’ll need or the future state of the world? We all need to keep fighting as hard as we can to effect positive change. We don’t have a choice. For TriplePundit, that means telling stories of businesses leading the charge – to inspire and to inform. There is no doubt in our minds that the best way for us to do that is as members of the 3BL Media family. During one of our earlier conversations, 3BL Media CEO Greg Schneider told us that his original goal for the company was to build a sustainable company in the financial sense. He’s done that and more. His clients love the easy-to-use platform to distribute their CSR news and they love the clean reports they get bring their results back to the boardroom. 3BL Media employees are happy and engaged, and they have a good work/life balance. 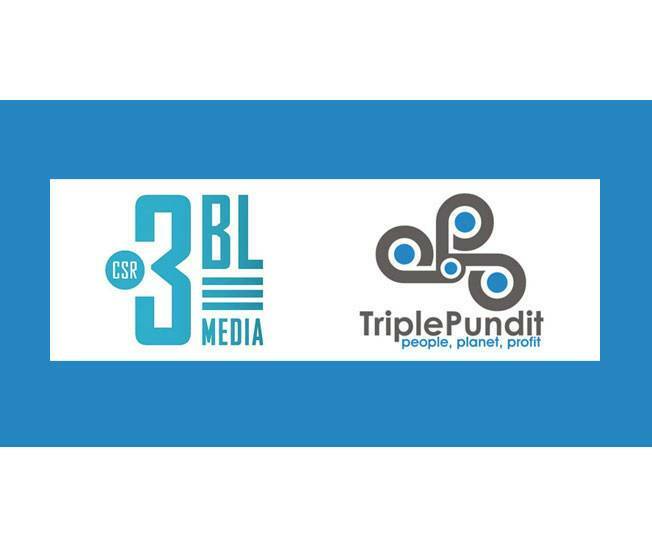 We understand that a reputation takes a lifetime to develop and a minute to destroy, and we are thrilled that the team at 3BL Media sees value in working with TriplePundit to drive the conversation on sustainability in business. They’ve given our team free range to do the type of reporting that we’ve always done – only better. We have a hard-won reputation for deep knowledge of the sustainable business landscape and the triple bottom line and for reporting that gives credit where credit is due. We don’t stand for greenwashing and we have no plans to change that. In the next phase of life, we’ll be focusing on quality over quantity, delivering a unique take in every article. We are doubling down on our commitment to bring you stories of triple bottom line thinking in your communities and in our world. We’ll also continue to examine the implications of a policy sphere that neglects long-term, systems thinking. As members of the 3BL Media family, we’ll have more resources to deliver quality reporting you can’t find anywhere else. And we’re thrilled to join a well-financed organization that “has our back” and sees the social and economic value of our work. Of course this merger will offer new opportunities for sponsors and clients to showcase their CSR cred. 3BL Media clients will have new opportunities to support crackerjack editorial (like our upcoming series on Business in Society – email us to hear more!) and lead dynamic Twitter Chats. TriplePundit’s editorial sponsors can access 3BL Media’s analytics on the performance of the series they support, unparalleled distribution of their news releases, and dedicated staff to maximize their exposure. This is just the beginning and we can’t wait to see where it takes us. We’re eager to hear your feedback. Share your thoughts in the comments below or tweet us @triplepundit.